Item # 277612 Stash Points: 1,498 (?) This is the number of points you get in The Zumiez Stash for purchasing this item. Stash points are redeemable for exclusive rewards only available to Zumiez Stash members. To redeem your points check out the rewards catalog on thestash.zumiez.com. 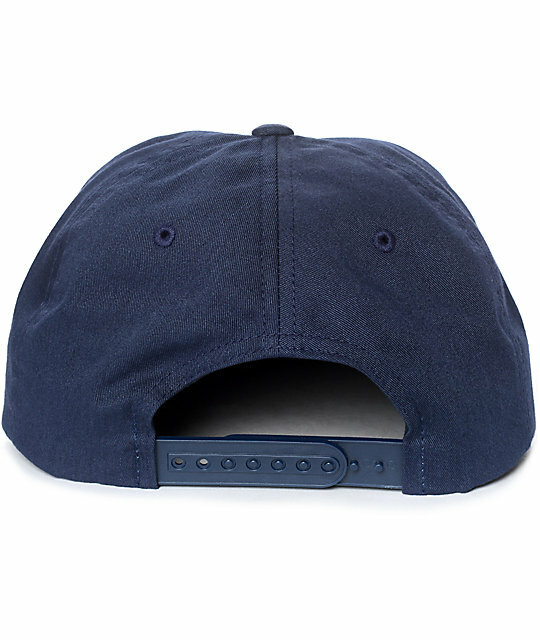 Inspired by music, culture, and the individuals that push the boundaries of all walks of life, Brixton introduces their new clean cut Navato Navy Snapback Hat. Featured with a simple composition that includes a logo patch on the front, straight bill, and adjustable snapback sizing piece for a custom fit. 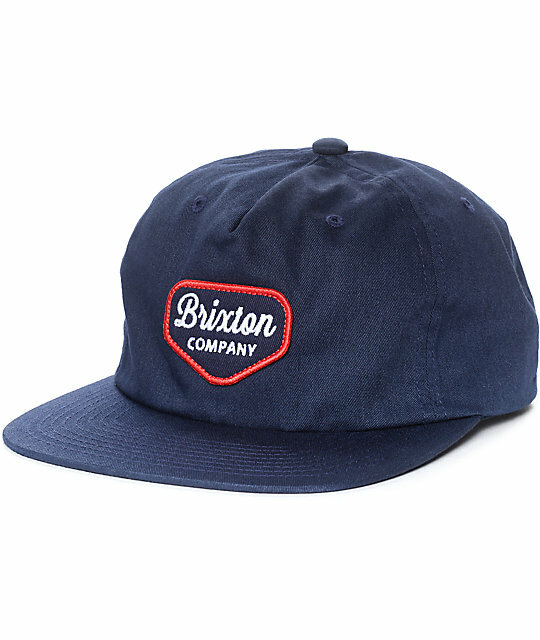 Novato Navy Snapback Hat from Brixton. Stitched logo patch on the front crown.